I have a feeling that "bouncing sickness" isn't such a bad thing to have! Sounds like you might have another solution to the problem of disappearing sheep. 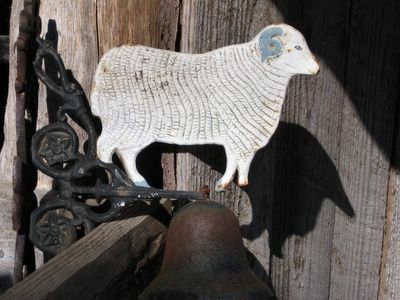 When we were at the sheep show we noticed there were a few sheep who had those "cow" bells on them. I wasn't sure if that was for theft or what. There were a lot of folks at the show. Could someone walk off with a sheep and no one notice? We should all get hit with a severe case of "bouncing sickness". Shake out the cobwebs and have some fun!